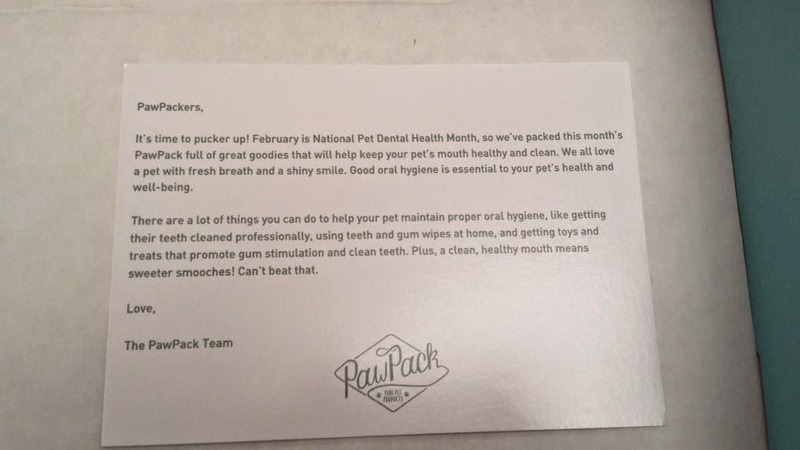 The theme is National Pet Dental Health Month. They ship the box on or about 21th the month, I usually receive it early the next month. 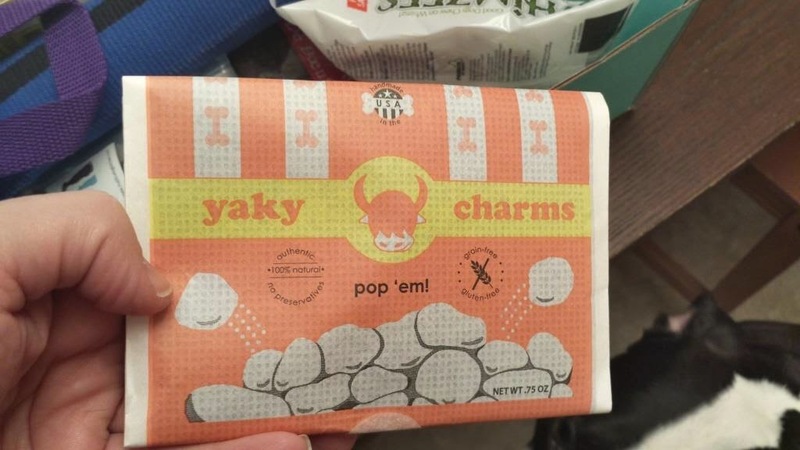 First up is Yaky Charms. I had no idea what it was so I went to the Google Machine. 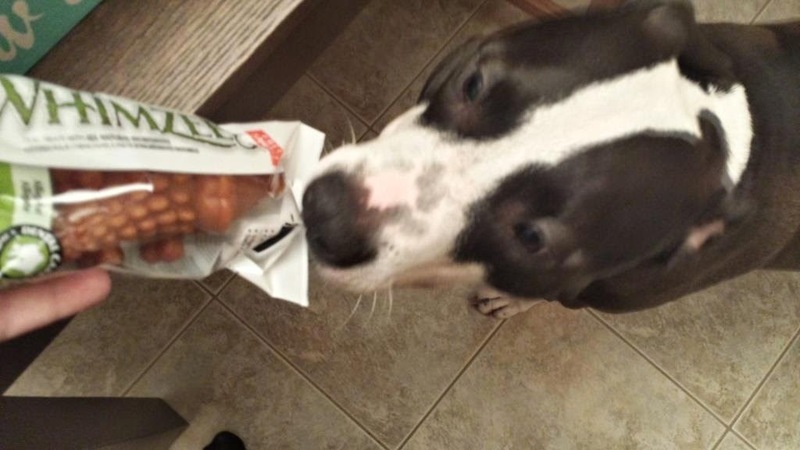 You pop it in the microwave and after 1-3 mins you have cheese bites for the dog. We're going to try it. 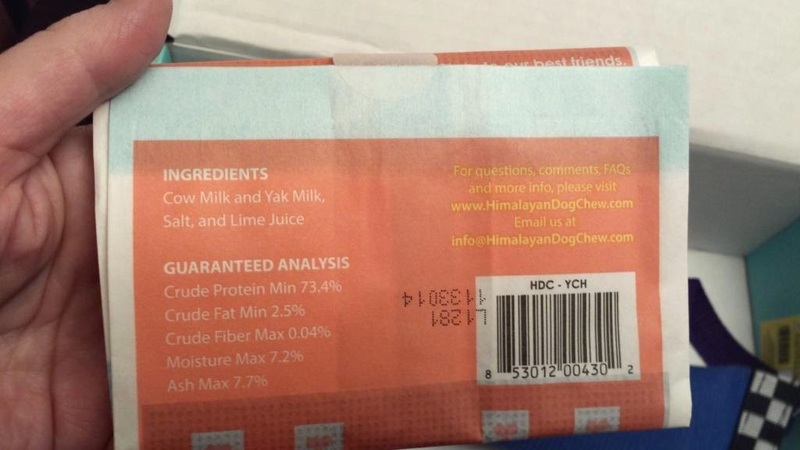 Retail price is all over the place, as low as $2.19 to as high as $6.49? 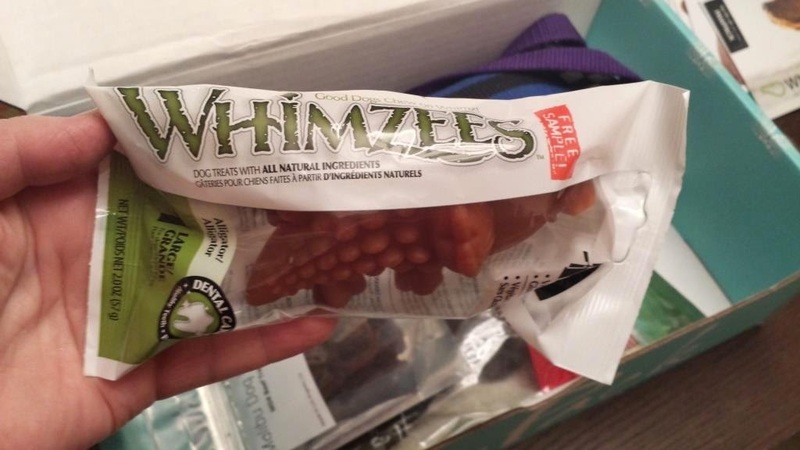 Next is Whimzees Dental Dog Chew. The Goo sometimes will go for these (depending on her mood). 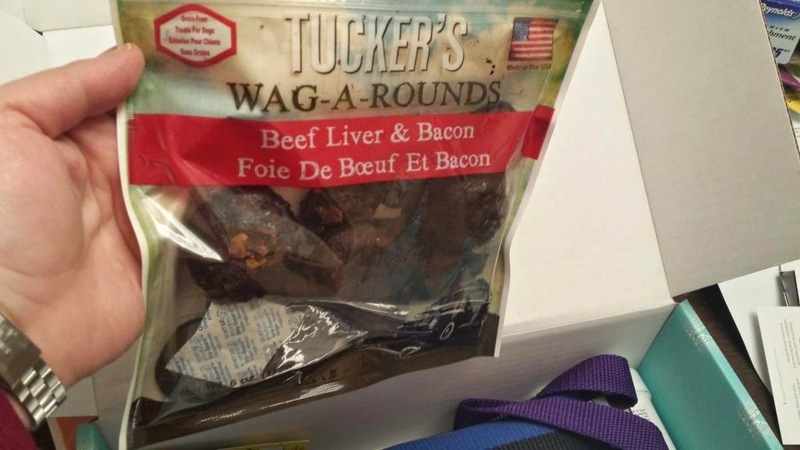 The third item is Tucker's Wag-A-Rounds. 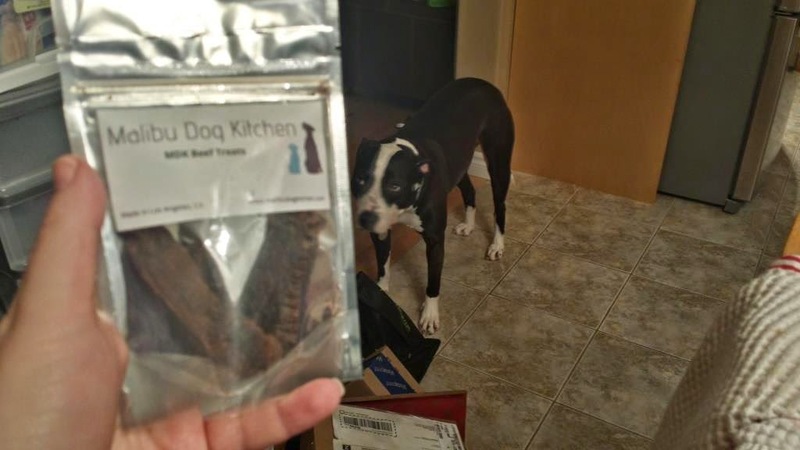 Raw, dehydrated beef liver and bacon treat. The Goo LOVES these. 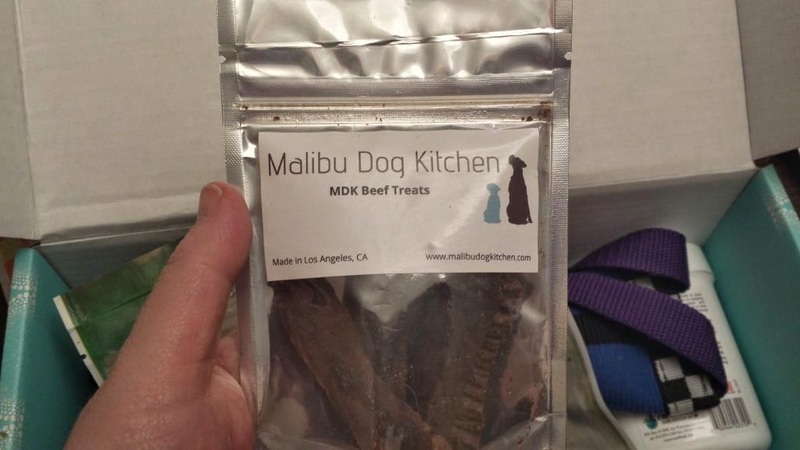 Up next is Malibu Dog Kitchen Beef Treats. 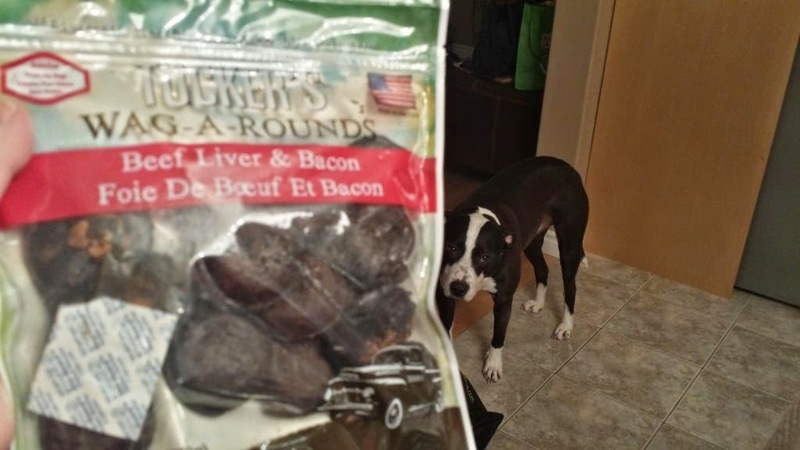 Retailing for about $14.99/bag it is made only using fresh, organic food products. Another hit with The Goo. 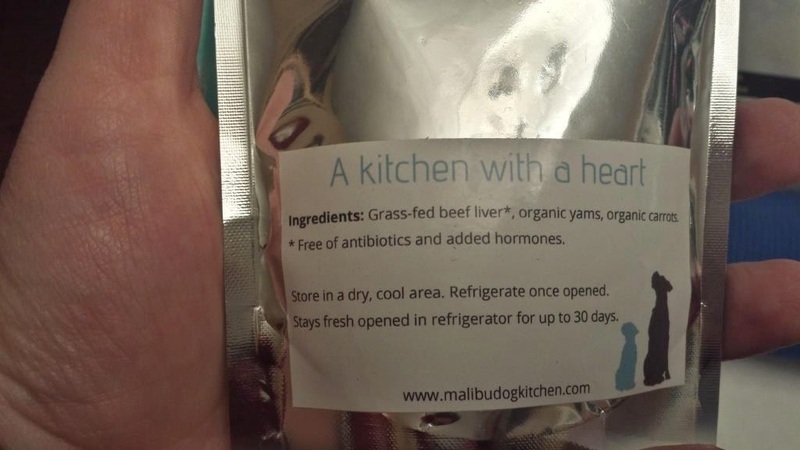 Ingredients: Beef liver, apple, yam. The toy for this month is a Katie's Bumpers Double Tug. 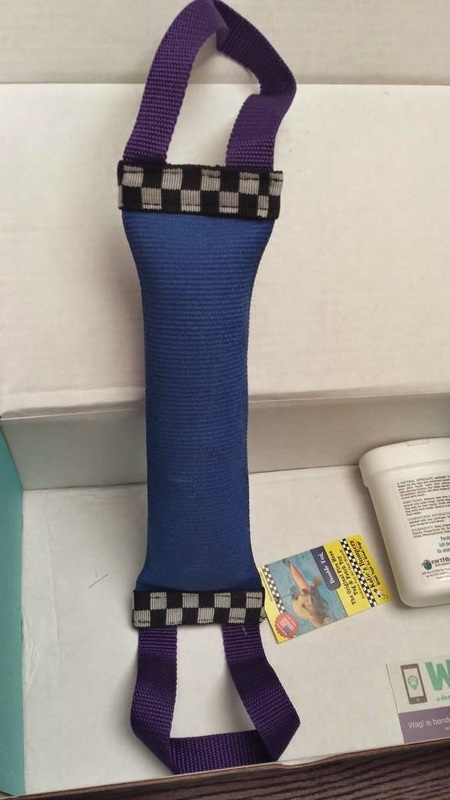 Price is $15.75. Goo is not sure about it yet. 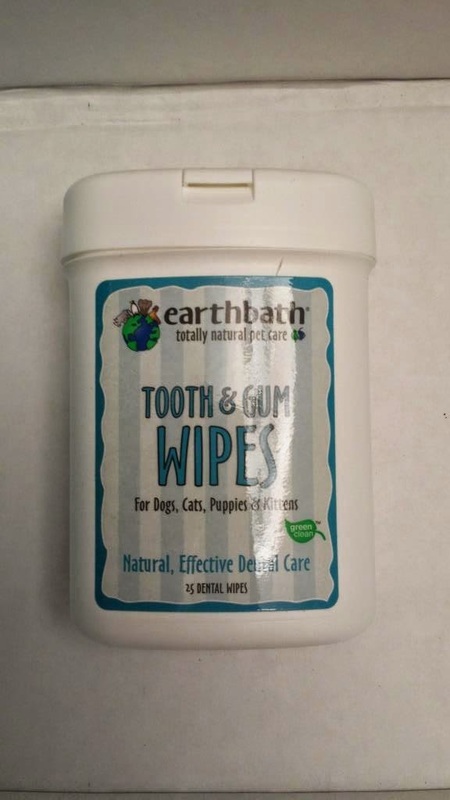 The last item is earthbath tooth & gum wipes. They recommend doing this daily - I laugh - they don't know my Goo. So I had a bit of a shock when I went to the post office to collect my box. 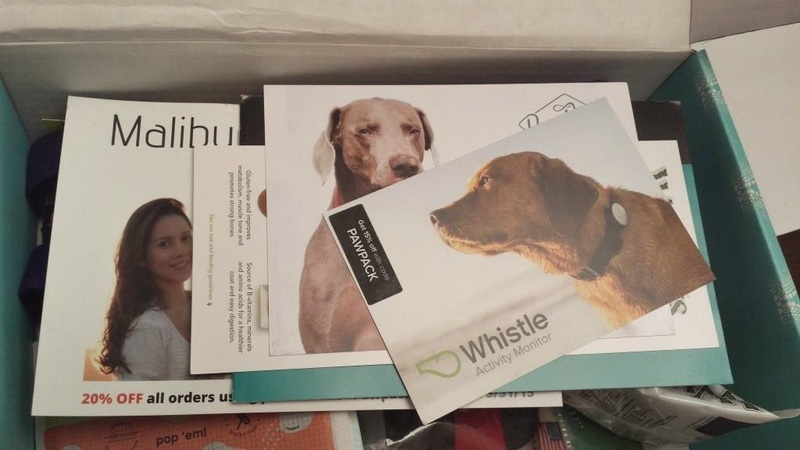 I was levied a $15.04 fee "from PawPack" the postmistress said. 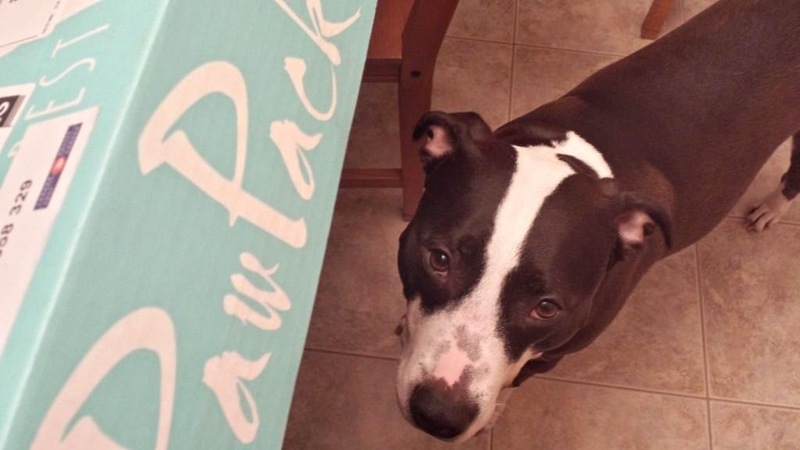 An email to PawPack asking for an explanation resulted in a helpful response and a refund (to be forthcoming). I am not entirely sure why this happened this month and they hope to resolve it before the March shipment. Don't forget to take in account the US/CDN exchange rate, now the premium box with shipping costs almost $50 CDN.